With its 10 advanced lighting presets, the Q4n captures our highest-quality video ever — from bright daylight to a low-lit club to striking sunset. 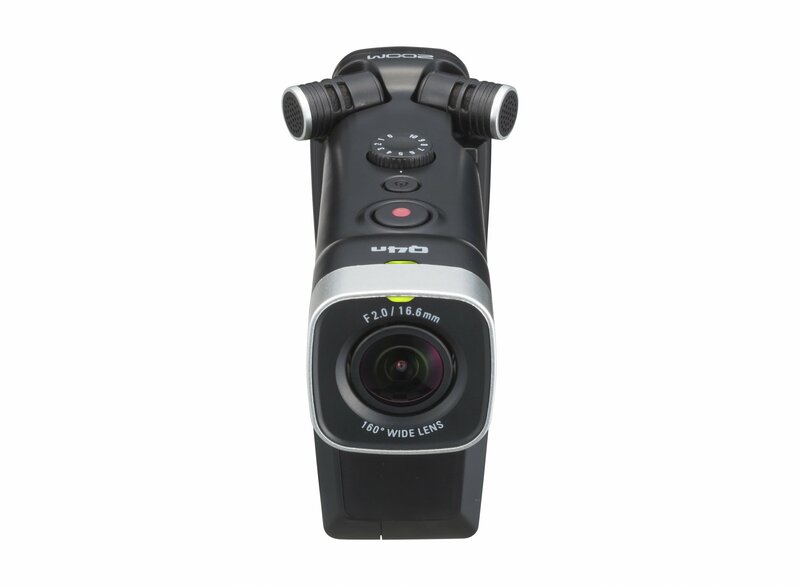 And with Zoom's superb audio quality, the Q4n provides a combination no other camera can match. A/B is a great way to record vivid stereo that provides a realistic sense of space and ambience—ideal when you want to capture the reverb of a concert hall. It's also well-suited for situations where you want to record the sound of people talking in different parts of a room. Attach the Q4n to your guitar with Zoom's optional GHM-1 guitar headstock mount to get a close-up of your technique, or use the MSM-1 microphone stand mount to place one or more Q4n’s around various areas of the stage and complete the experience. With its included adapter, the Q4n is compatible with all three-prong action camera mounts and accessories, providing limitless possibilities.